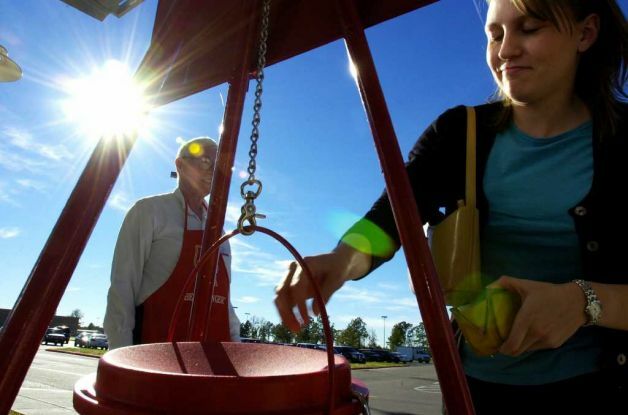 Join the team… be a Bell Ringer for the season! The annual Red Kettle Christmas fundraising campaign started in 1891 when a Salvation Army Captain in San Francisco set up a crab pot at Oakland Ferry Landing to collect donations to feed the poor at Christmas. The campaign has since become one of the longest-running and most recognizable fundraising efforts in the world. Be an ambassador to the community for The Salvation Army. Your family, club, group or company employees can ring bells at a community location to help us raise funds and give hope to families in our community. Minimum shift is two hours but why don’t you take a day and ask your friends to ring?